On arrival at Coimbatore Airport/Railway station, our representative will pick you up and drive to Ooty. On arrival at Ooty, check into the hotel. The rest of the day is at your leisure. You may walk around nearby places. Enjoy a scrumptious breakfast and embark on an unforgettable sightseeing tour of Ooty. Begin your trip with a visit to Doddabetta Peak, which is the highest mountain in the Nilgiri Hills. The peak offers panoramic views of the beautiful surroundings. Next on your itinerary is the visit to the Botanical Garden and the Ooty Lake. Enjoy horse riding and boating activities at the lakeside (On direct Payment). Later return to your hotel and relax. Overnight stay at the hotel. Your Ooty tour package concludes today. Savor a delicious breakfast, check-out from the hotel and get transferred to the Coimbatore Airport/Railway station to board a flight/train for your onward journey. While searching for weekend getaways, Coimbatore-based travelers come across a plethora of options. And credit for this goes to its strategic setting. Situated at few hours drive from Coimbatore, Ooty is one such destination that gets steady footfalls from the travelers who often look for some moments of leisure in its pine forested surroundings. Founded in the early 19th century as the summer capital of the Madras government, this beautiful hill town took no time to get crowned as the “Queen of Hill Stations”. Book an Ooty tour package from Coimbatore where beautiful hills, pleasant climate, and British era buildings are raring for your attention. As a destination, Ooty attracts travelers from around the world who come to spend some days of leisure in its beautiful surroundings. As it is situated at a short drive from Coimbatore, most of the travelers plan a tour package to Ooty from Coimbatore. 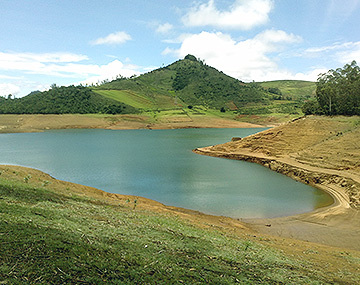 At BookOtrip, we have strategic alliances with the major suppliers in Ooty or Udhagamandalam that we leverage to ensure travelers a hassle-free visit to this lovely hill station. Avail our Ooty holiday packages and enjoy some moments of leisure in its beautiful surroundings. Tickets and vouchers will reach you two days before the date of departure/travel. I had opted for Ooty tour package and everything is executed according to the itinerary as mentioned there, I enjoyed this trip a lot and had unforgettable memories at Pine forest. Thank you Bookotrip for the wonderful experience.